With my lesson learned about dancing in bedclothes, I decided to go for making an actual dance dress for the longer version of my Viennese Waltz routine. I stopped in to Pacific Fabrics and found a lovely maroon slinky knit and a lovely black and white stretch floral netting. I liked how the maroon under the netting gave it more of a purple appearance. So I took the pattern pieces I had altered previously for the blanket version and removed some of the width to remove the excess ease since I wanted the knit version to be close to my body. 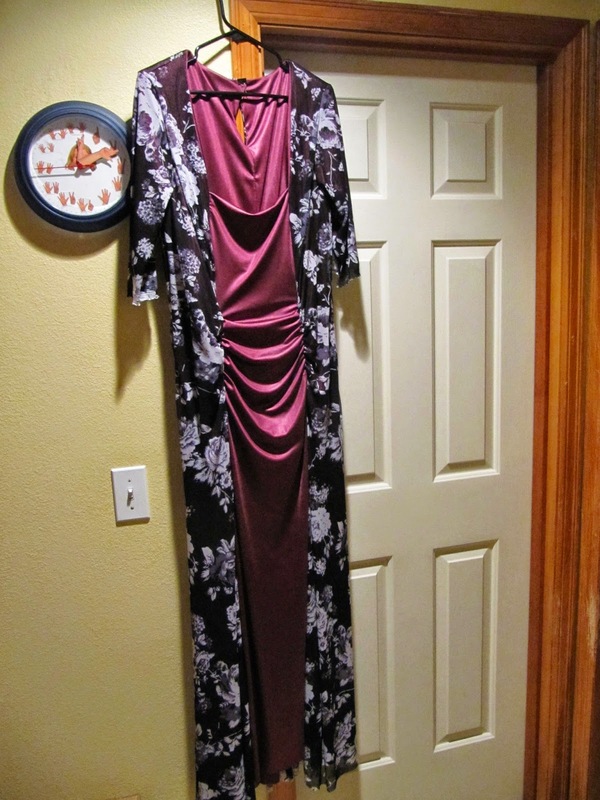 I also omitted the peplum and lengthened the bodice pieces to be floor length. I didn't put the netting over the center front piece to make it reminiscent of the Renaissance/Baroque style ball gown. Also, dance dresses usually have built in leotards so that you don't have to worry about what you are wearing under the dress. So I turned to my handy dandy Kwik Sew's Swim & Action Wear book and used that to create a leotard. I ended up inserting it inside out, so I hacked at it a bit so that it doesn't look horrible. And here's a video of me dancing it it. The neckline really needs to have elastic inserted to keep it up better and the skirt doesn't move as much as I had hoped. 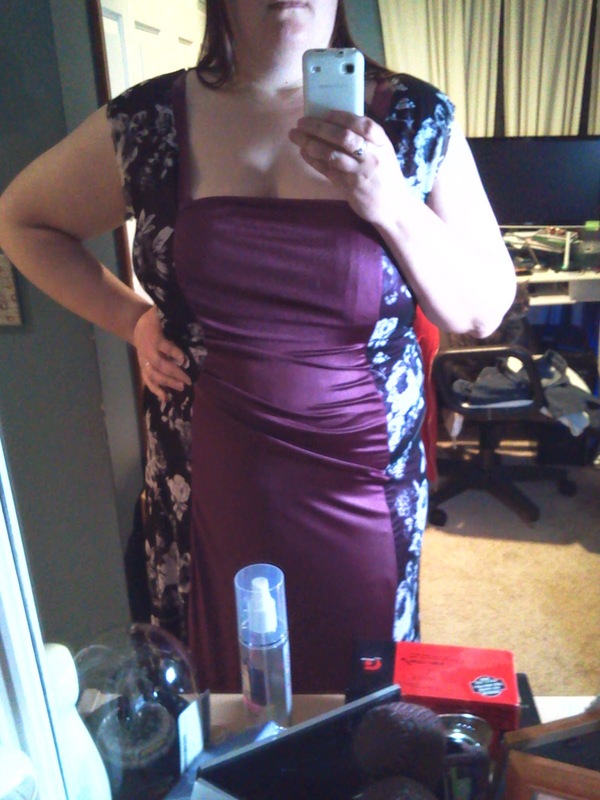 I have extra material and someday I might end up going back to hack at this dress some more to make it work better. As it is, I haven't worn it again since this dance. During the creation of this dress, my Singer machine started acting up so much that it was no longer productive to use at all. So I borrowed a Pfaff sewing machine from a friend of a friend to finish the dress and I fell in love with her machine. Thus, when I finally broke down and purchased a new machine, I splurged and managed to get the floor model of the Pfaff Expressions 150.